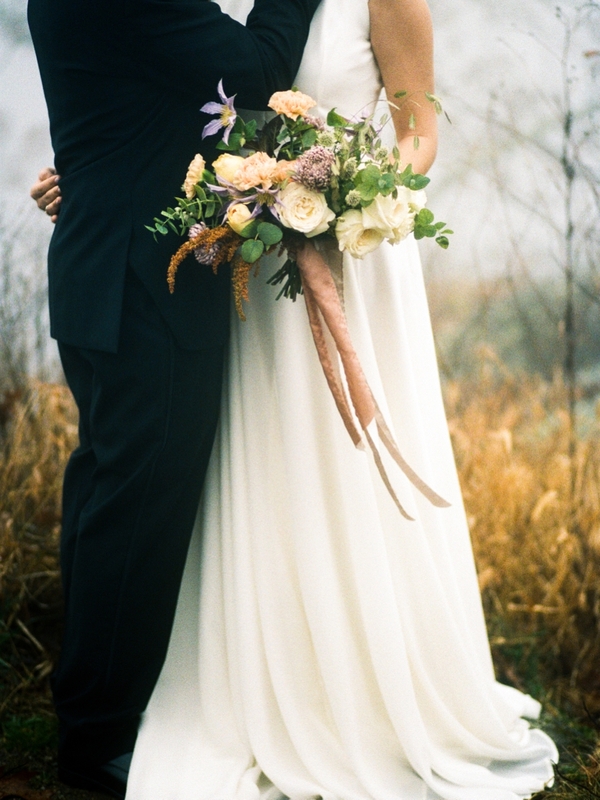 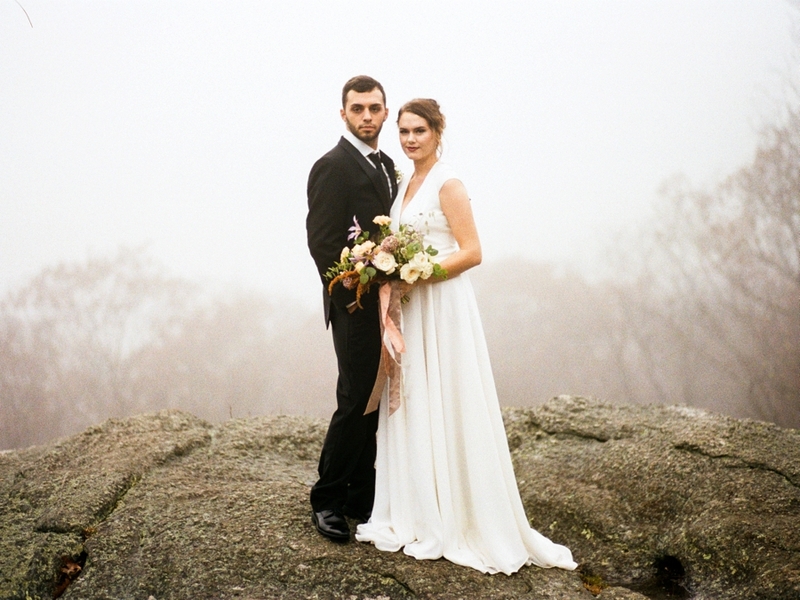 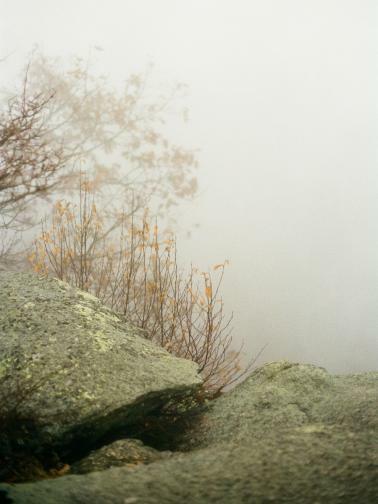 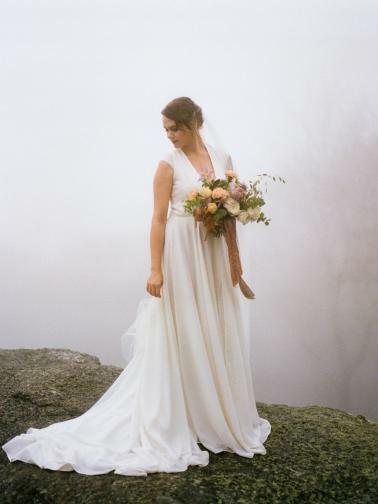 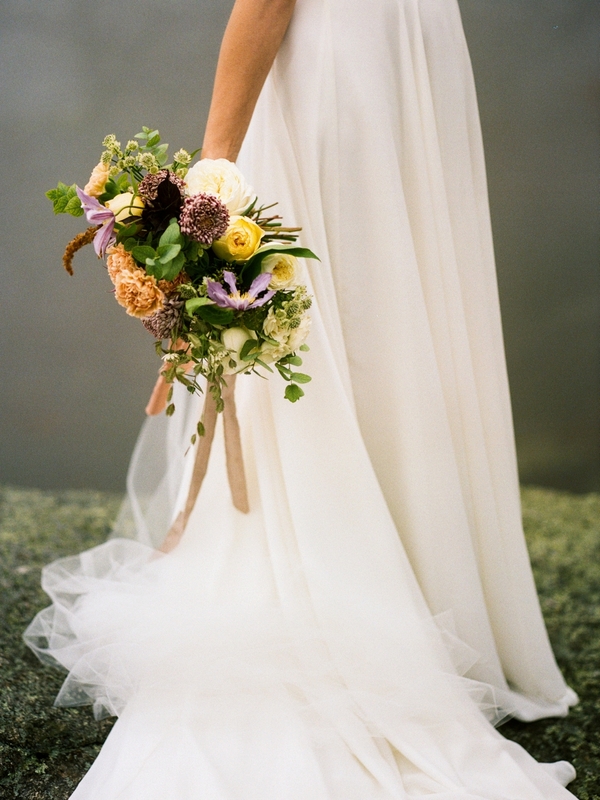 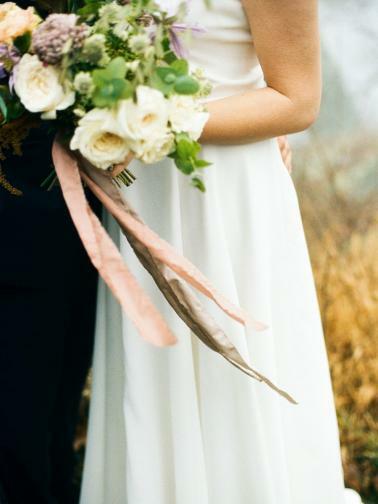 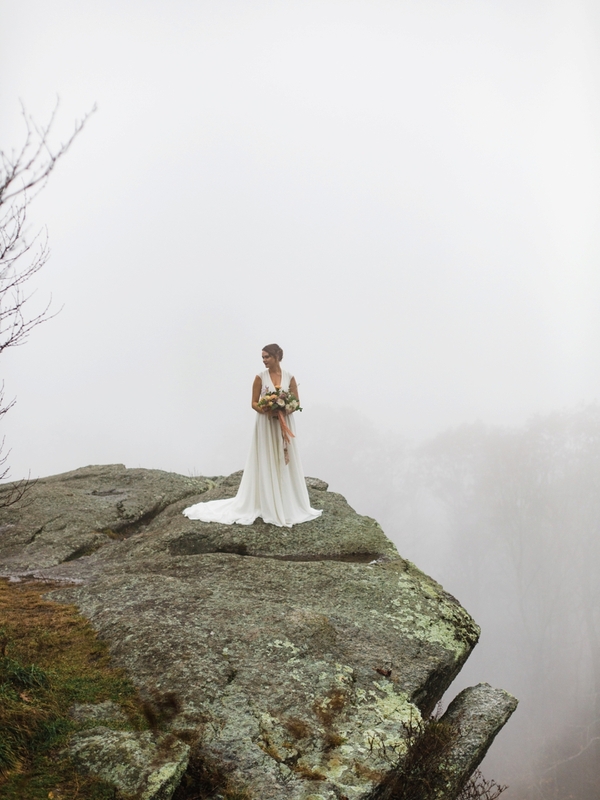 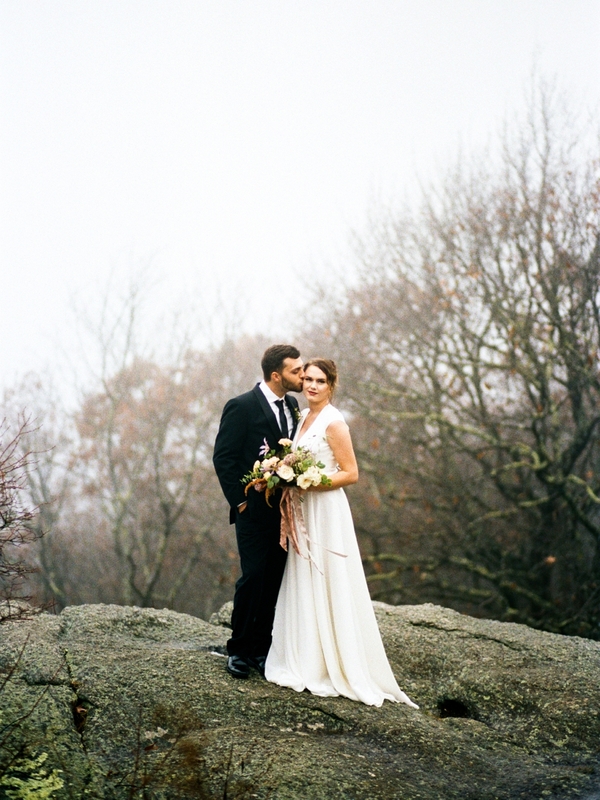 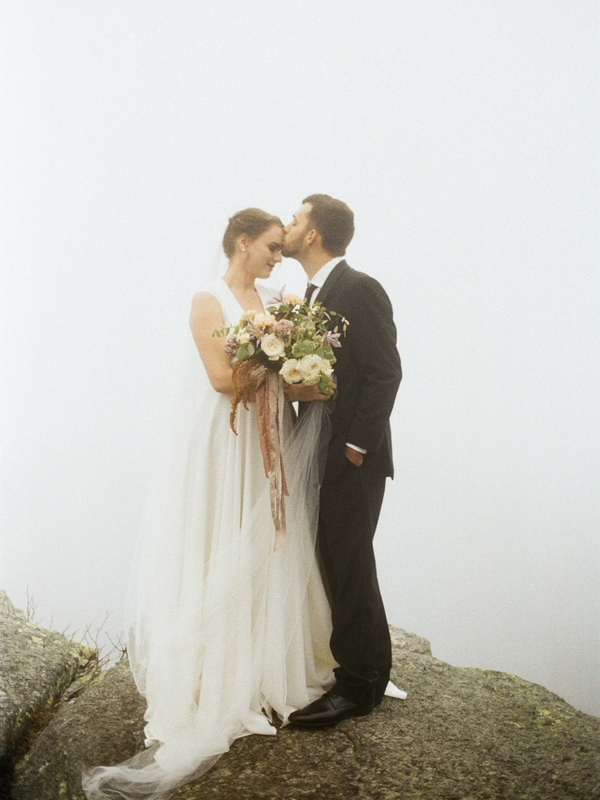 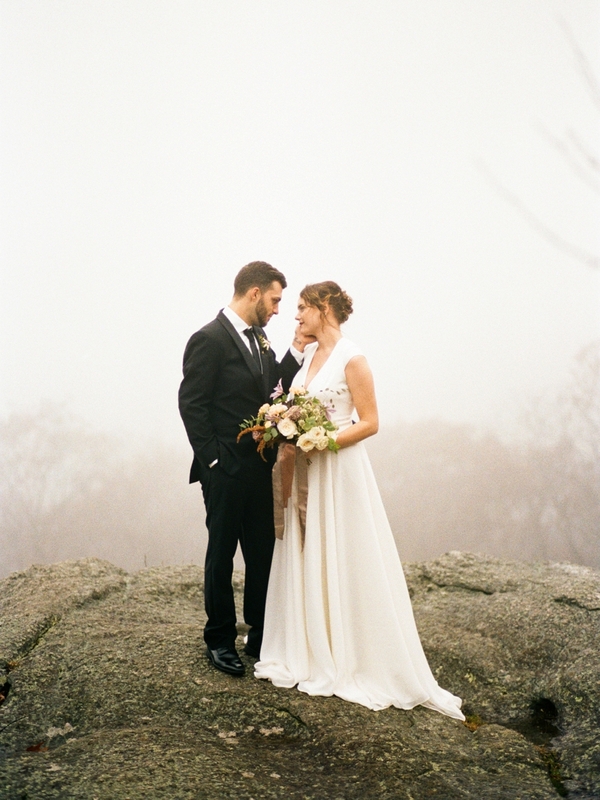 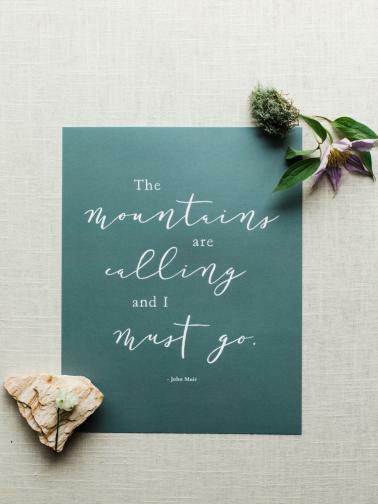 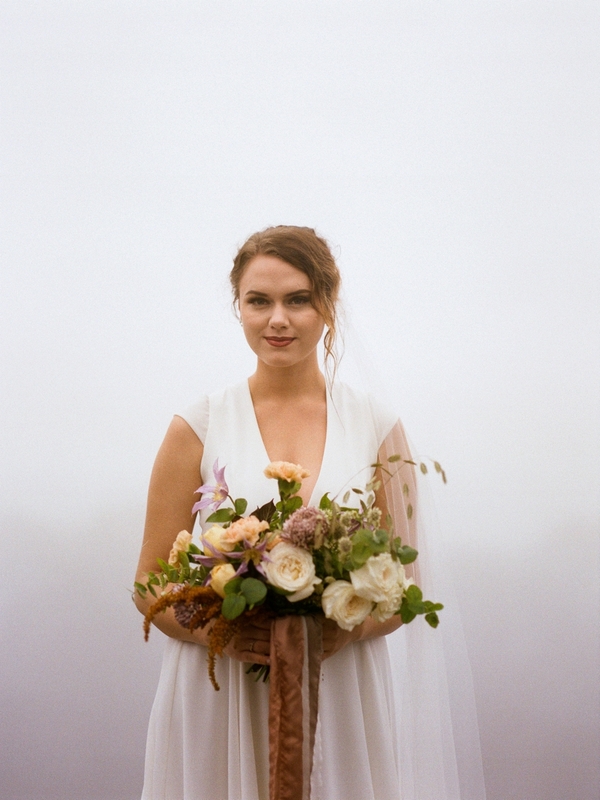 If we ever had to envision what a mountain wedding (or elopement) would look like, this would be it! 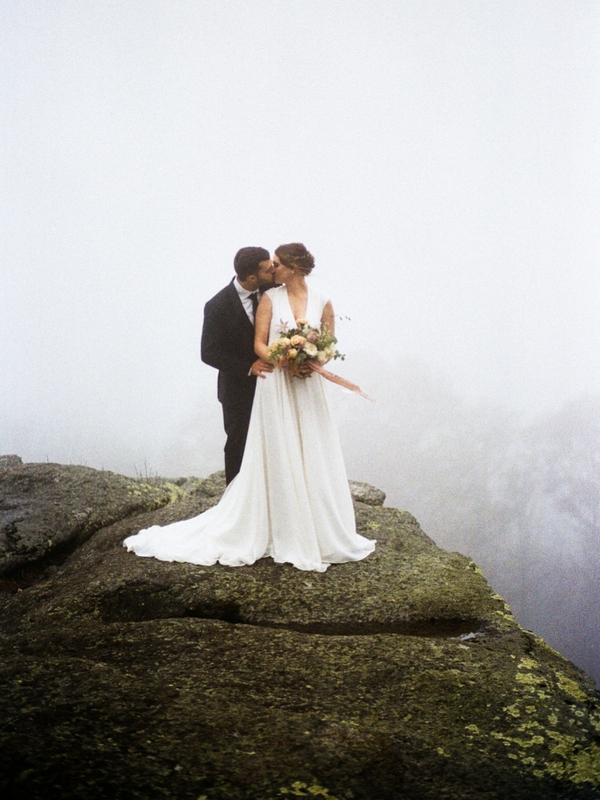 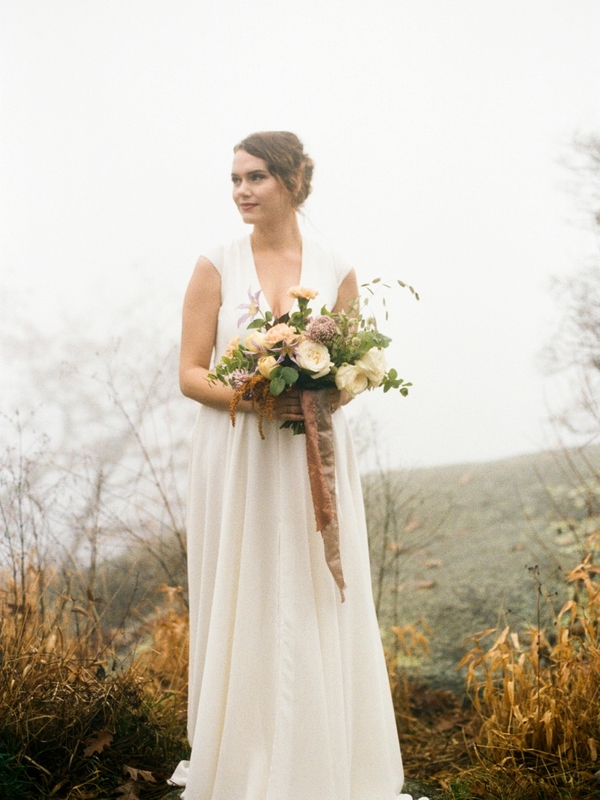 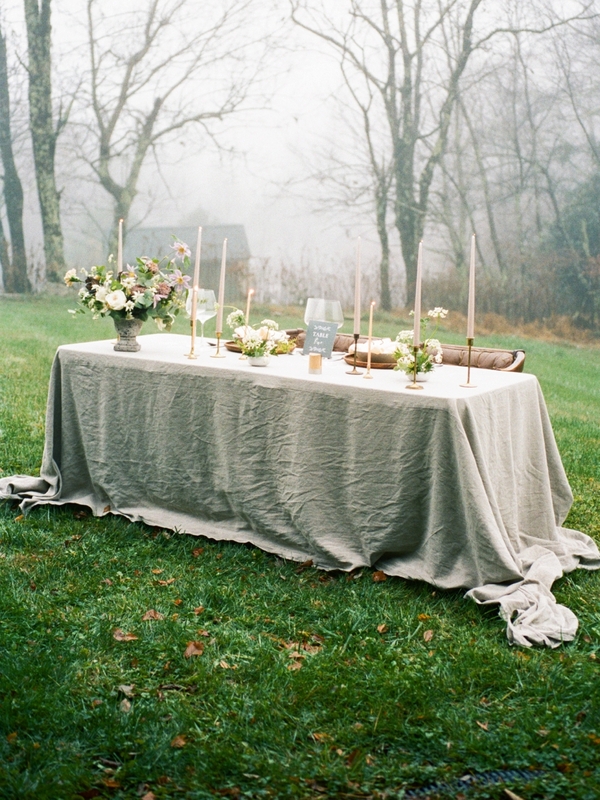 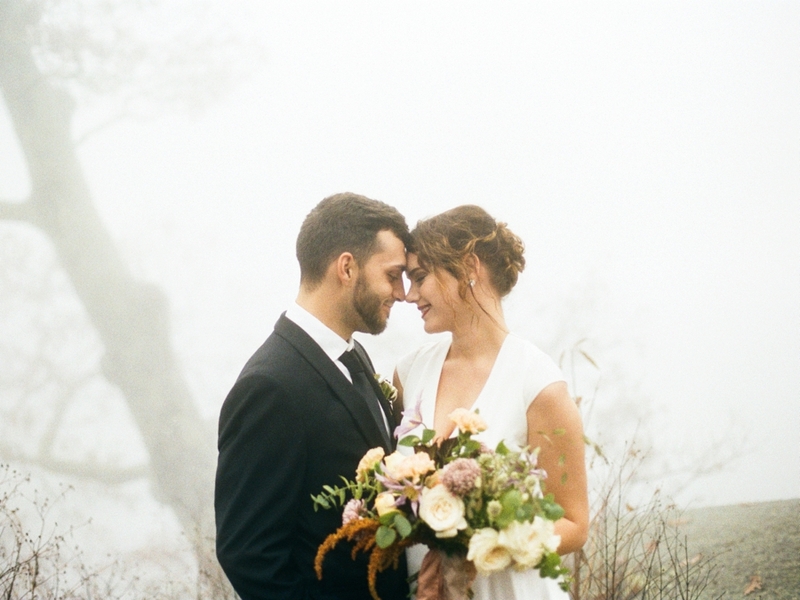 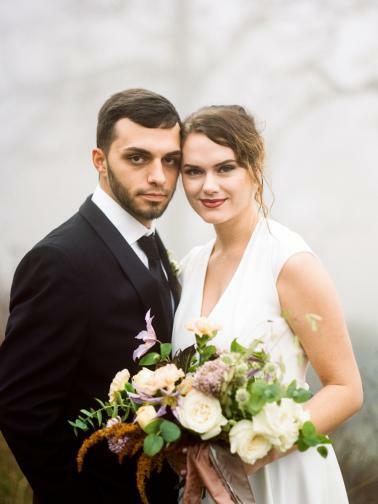 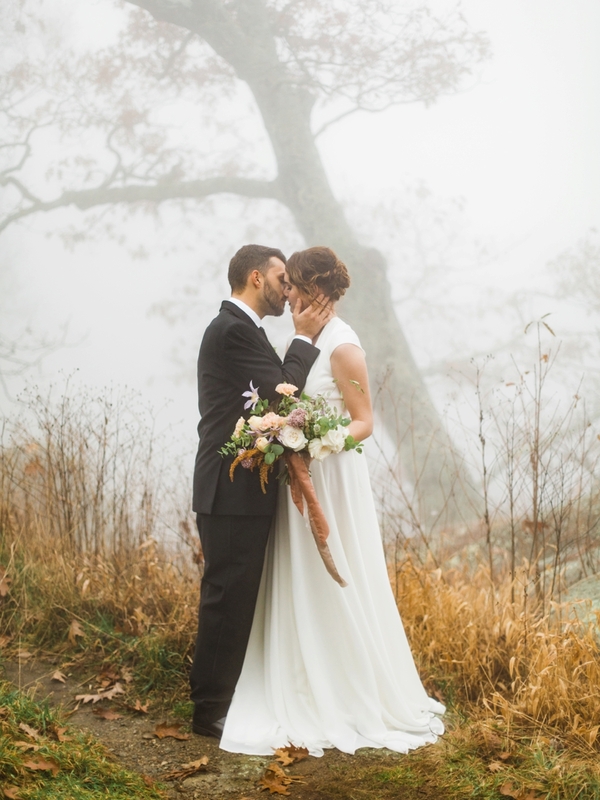 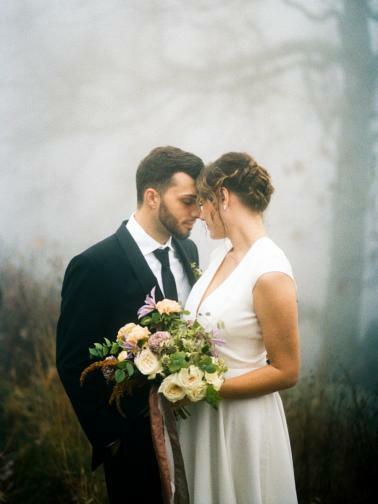 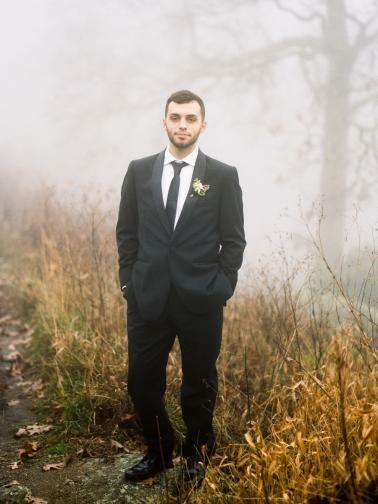 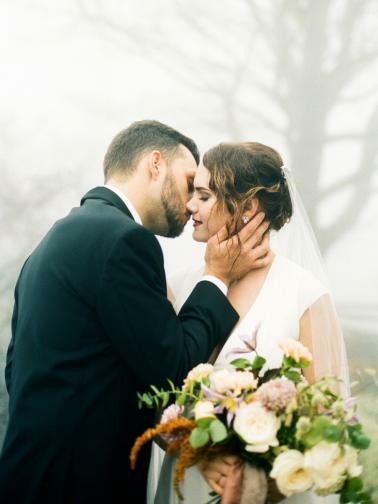 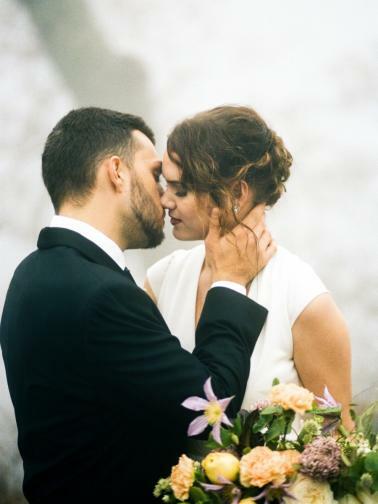 A romantic, organic style, filled with natural tones and textures, created the most gorgeous design for a foggy mountaintop fete. 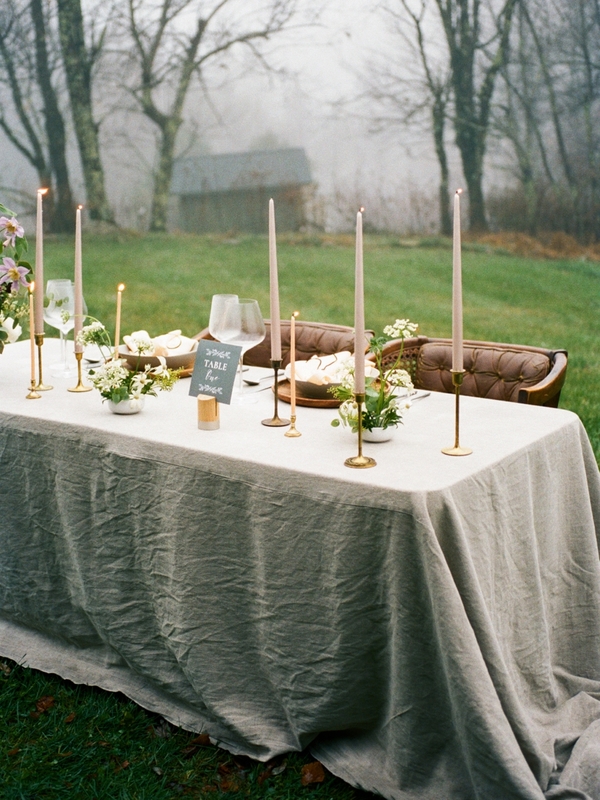 The beauty is undeniable, and whether sharing the event with friends or just with one another, this would make for such a stunning wedding! 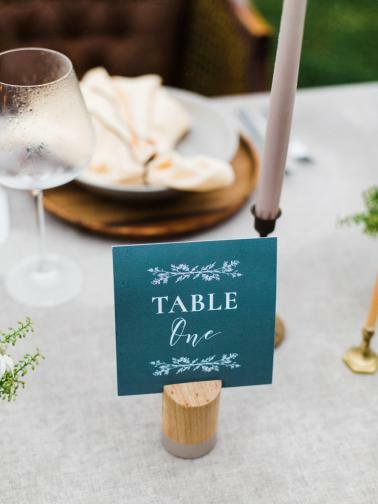 Our friends at Live View Studios captured this look so beautifully, and we can’t wait for you to take in all the gorgeous details and design! 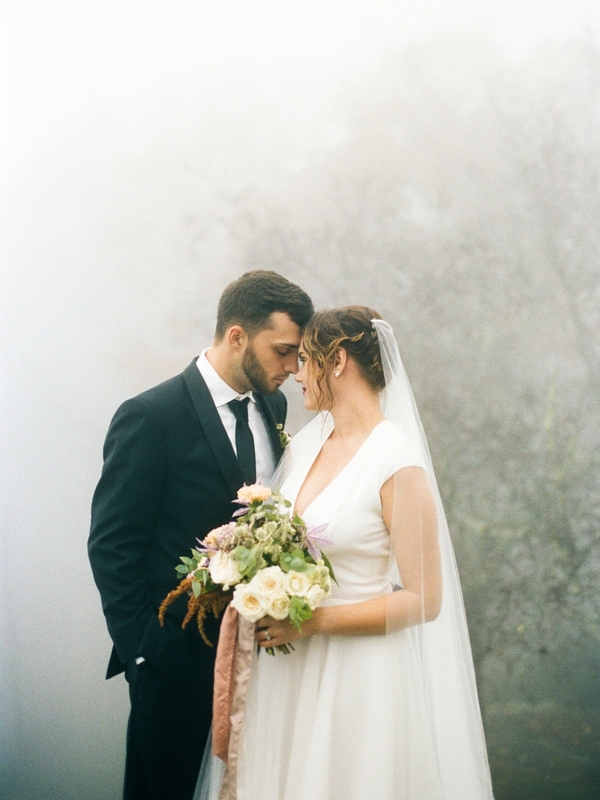 Wanting to create something that felt as grand and epic as the most incredible love story, but still remaining grounded and organic, I knew we needed to find the perfect balance of colors, textures, and elements. 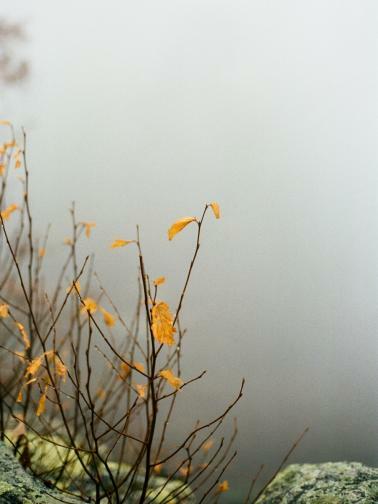 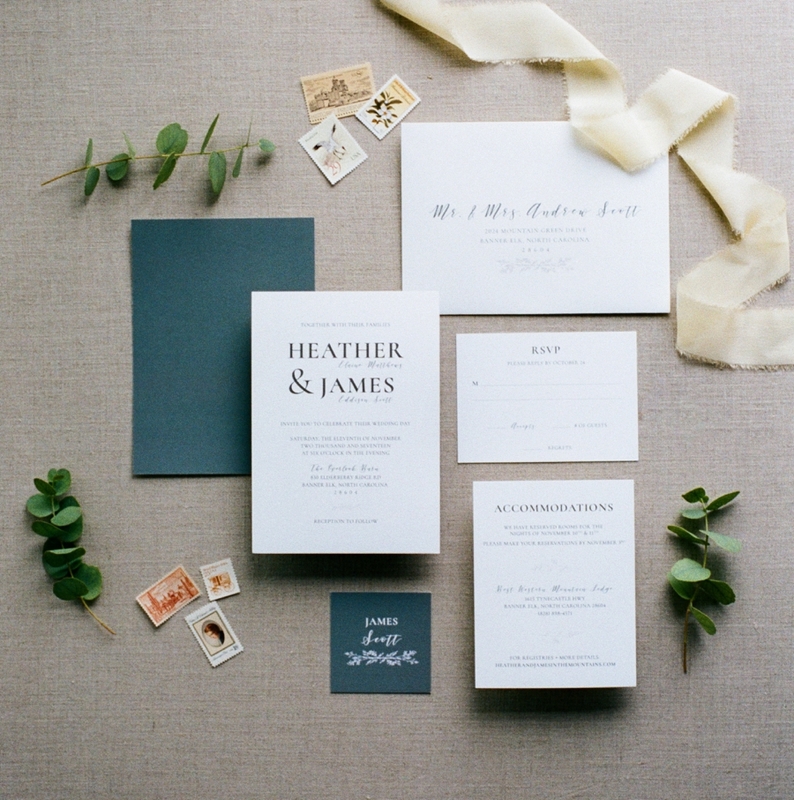 I opted for a natural color palette of greys, greens, browns, muted yellows and marigold tones. 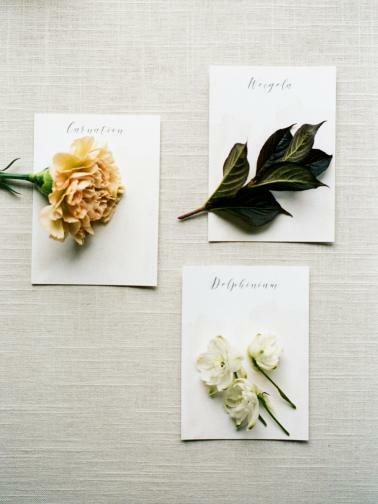 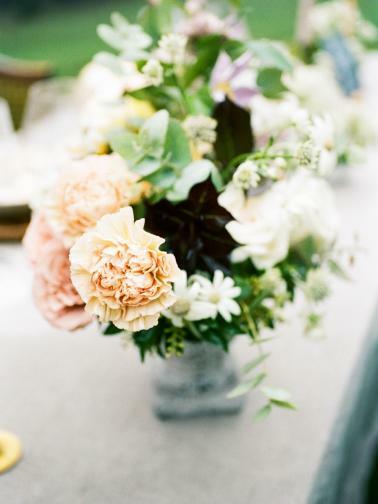 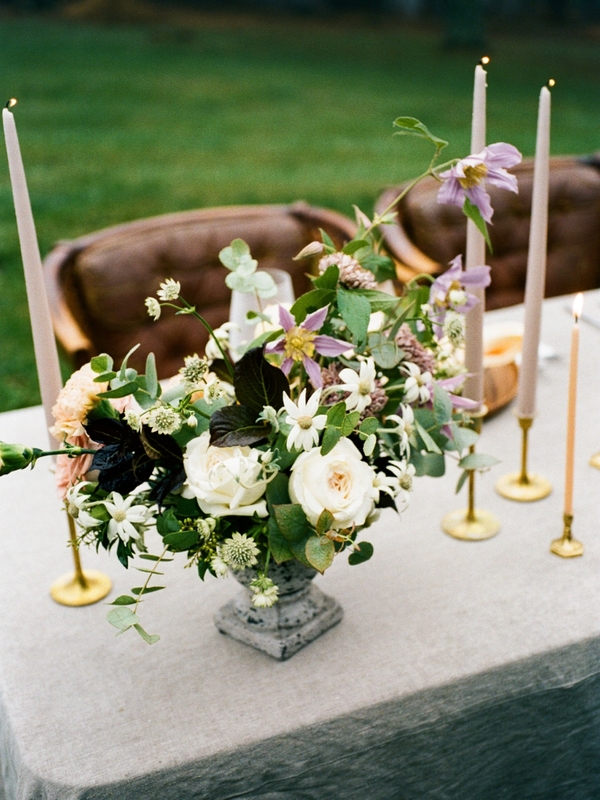 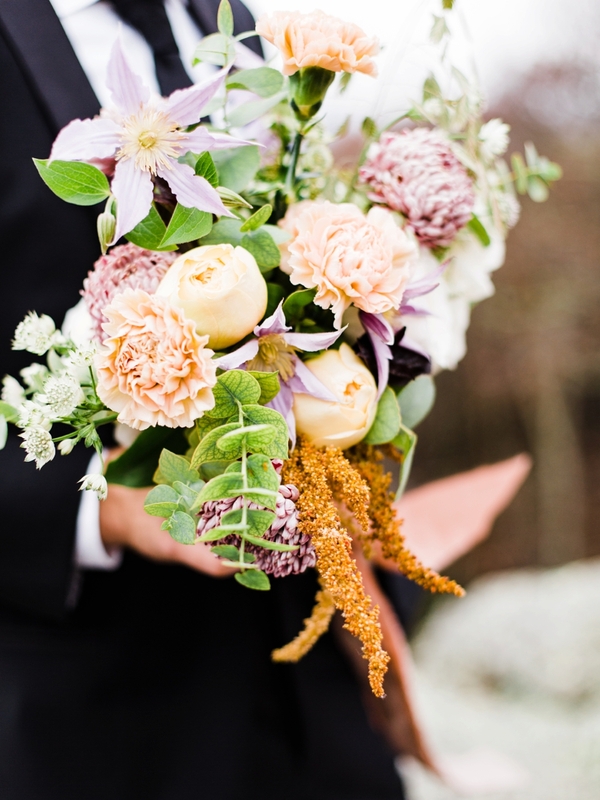 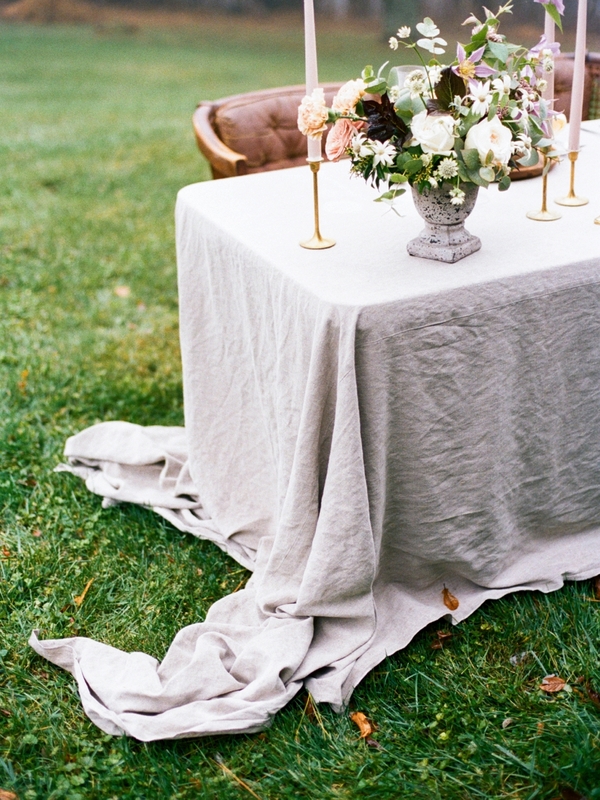 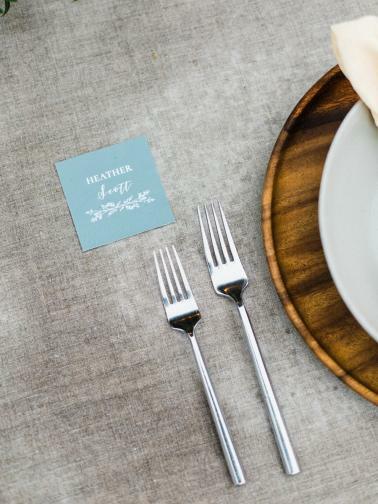 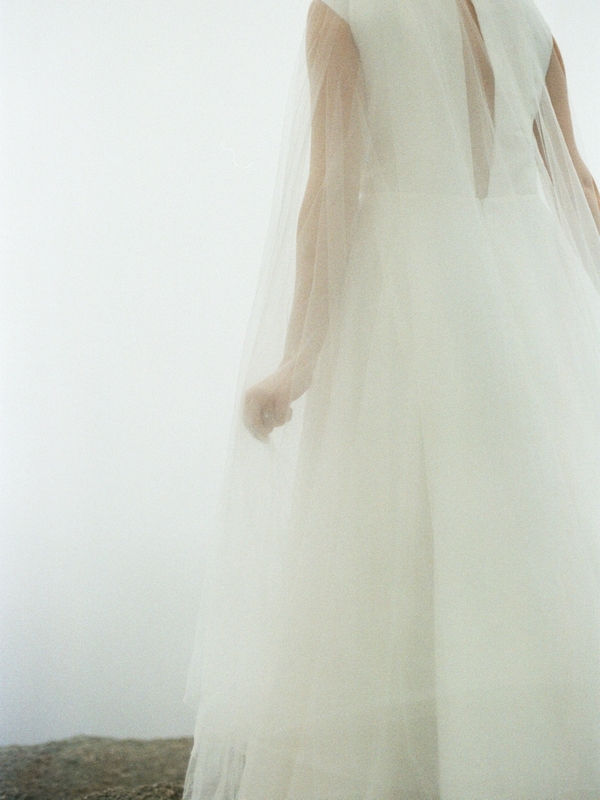 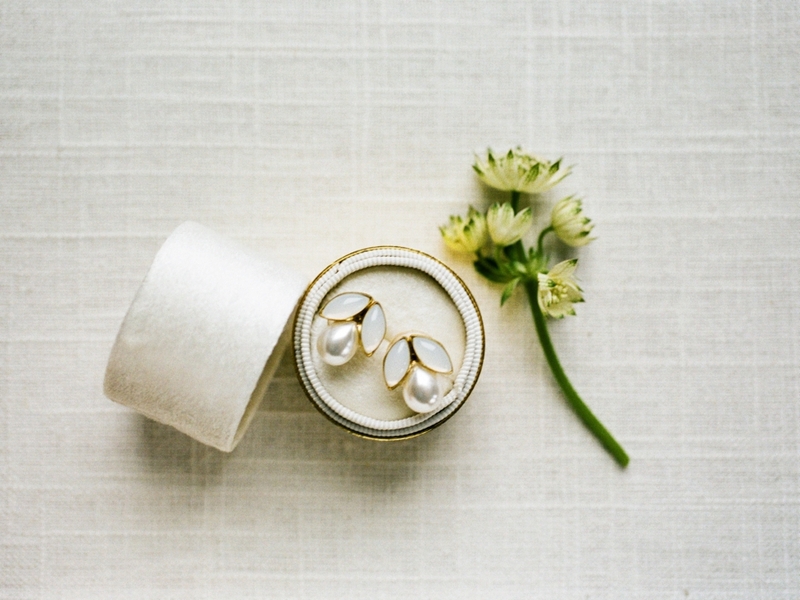 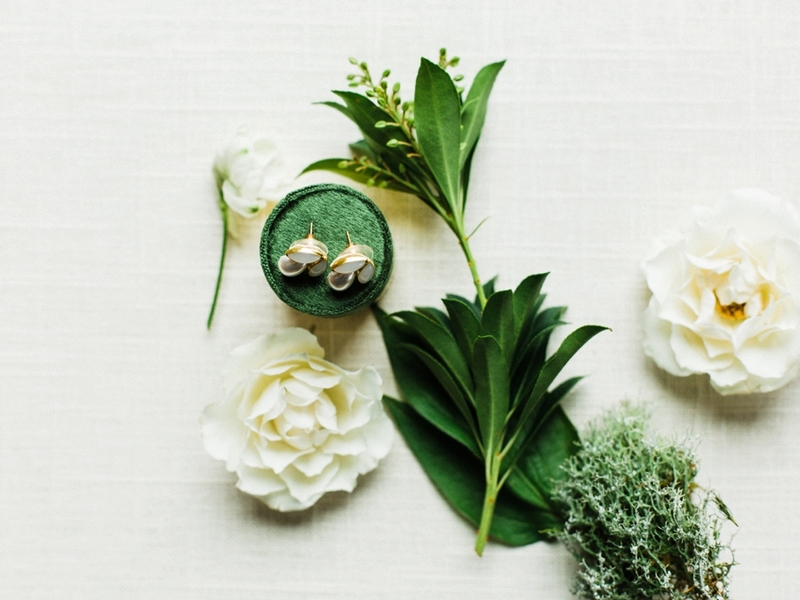 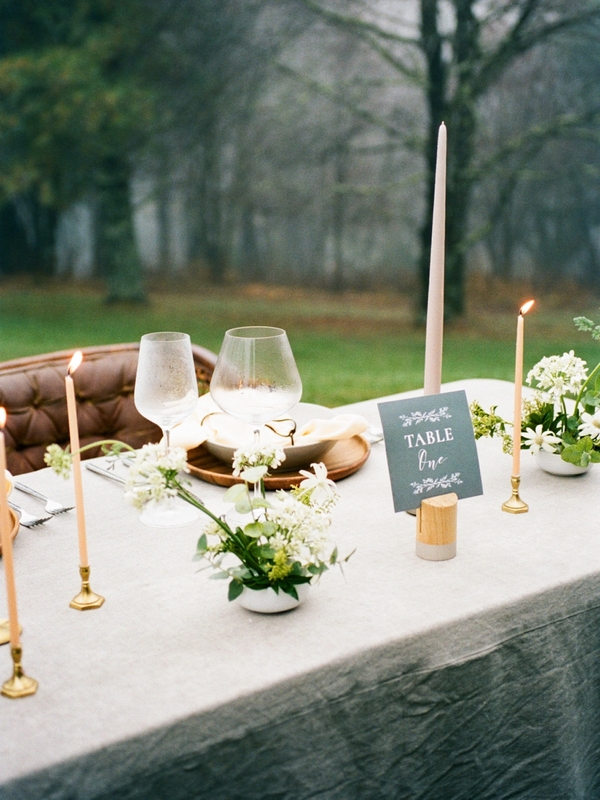 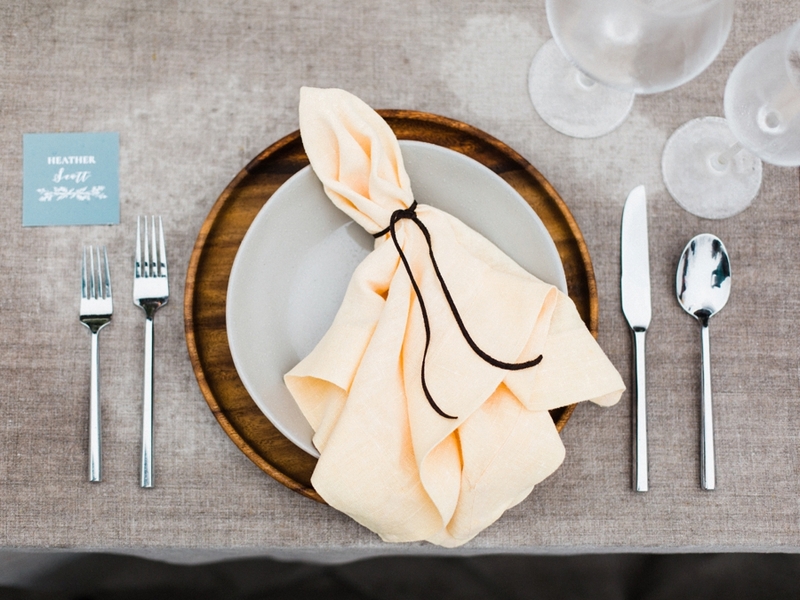 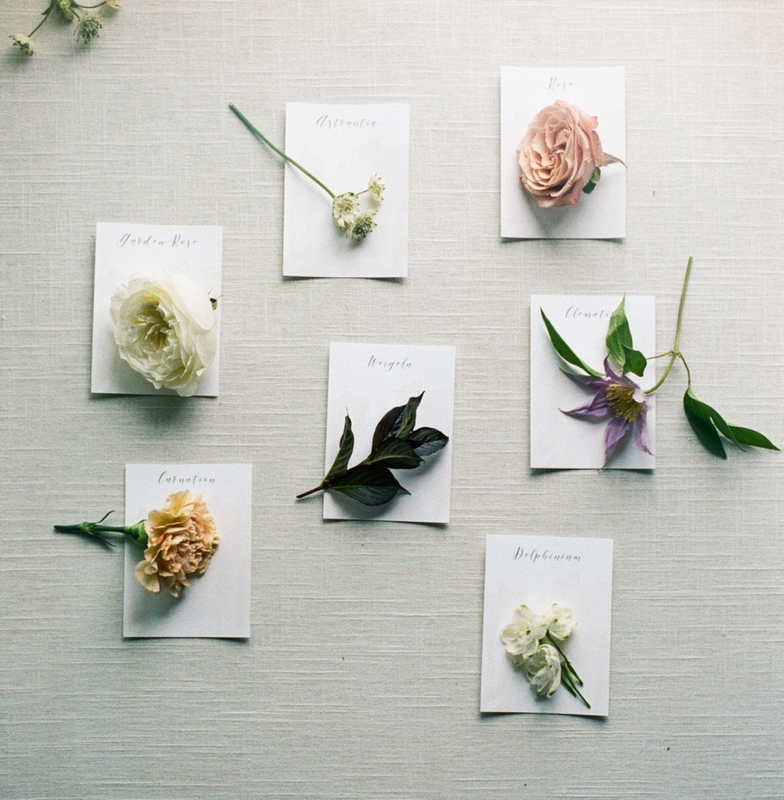 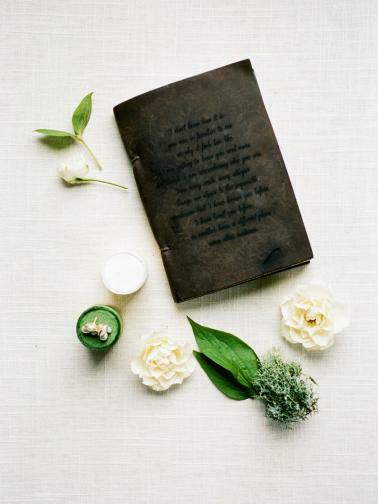 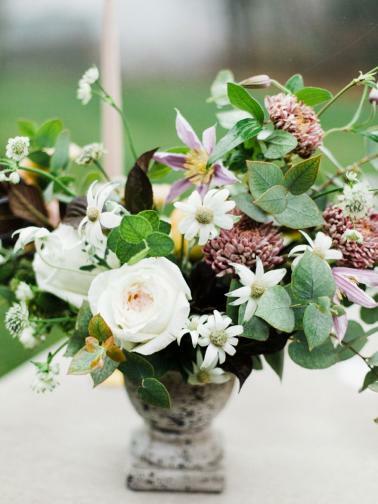 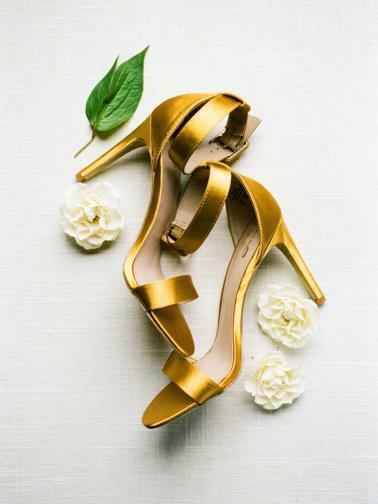 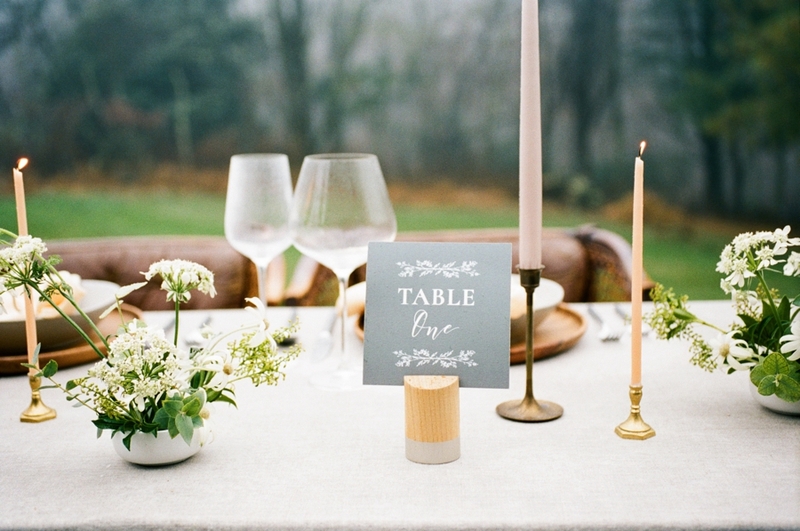 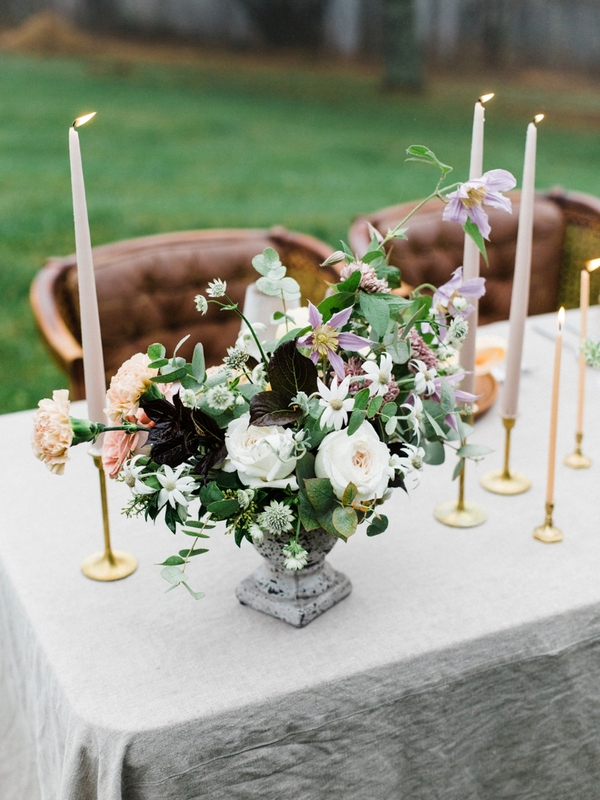 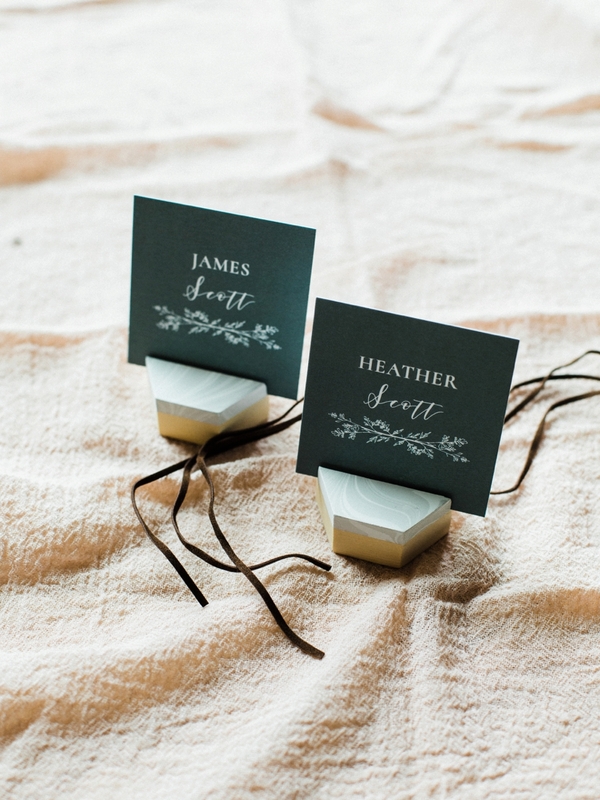 The design details were simplistic in nature, allowing the love story to take center stage. 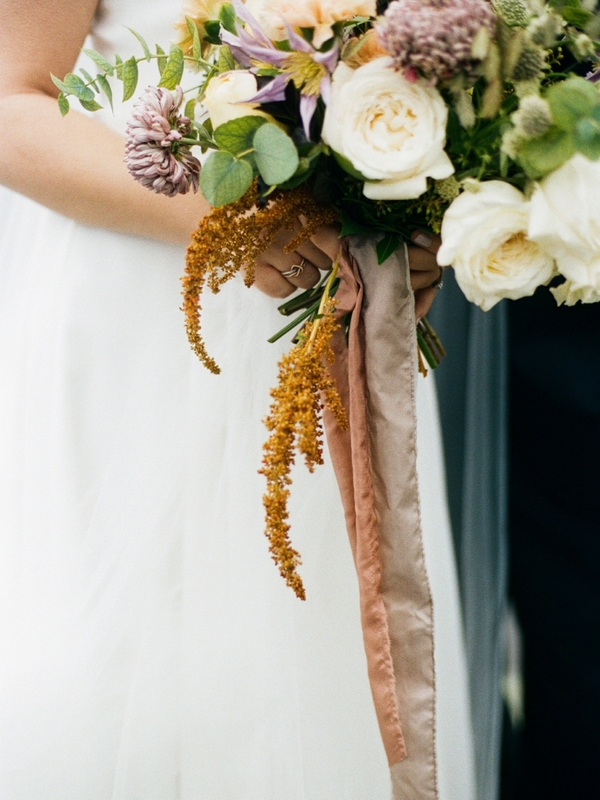 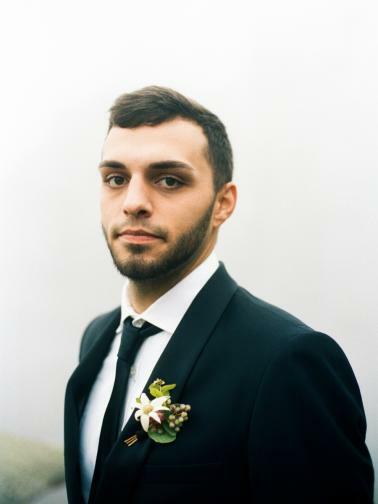 We intermixed various leather elements for a sophisticated and slightly masculine element and balanced it out with lush florals and silk ribbons. 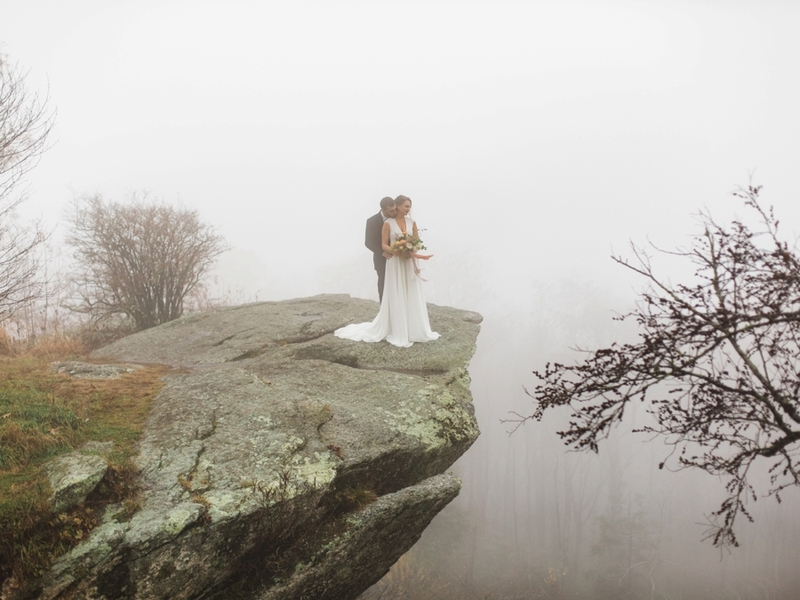 Everything was designed to be elevated by the Mountains that surrounded us, creating the most amazing backdrop for our couple!